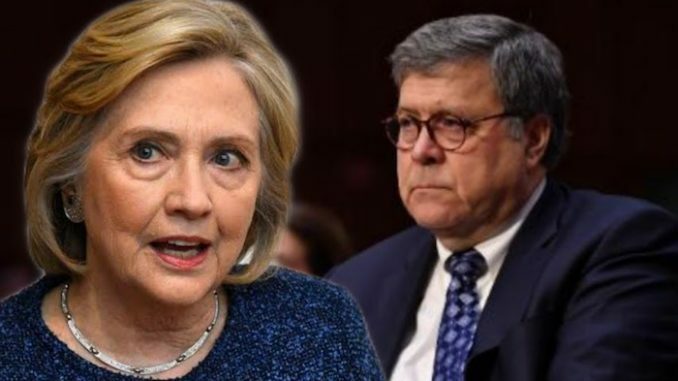 Attorney General William Barr is reportedly “furious” over the mishandled investigation into Hillary Clinton’s use of a private email server by the FBI. Speaking to Fox News’ Maria Bartiromo over the weekend, Senator Lindsey Graham confirmed the attorney general was unhappy with the corrupt investigation. Bongino.com reports: “So it seems to me that [Clinton] was interviewed not under oath. She had a couple of her staff people with her. People in her campaign were given immunity without anything in return. Nobody in the Clinton investigation went to jail for lying about the process because there was no process,” the senator said.